Happy Tuesday! 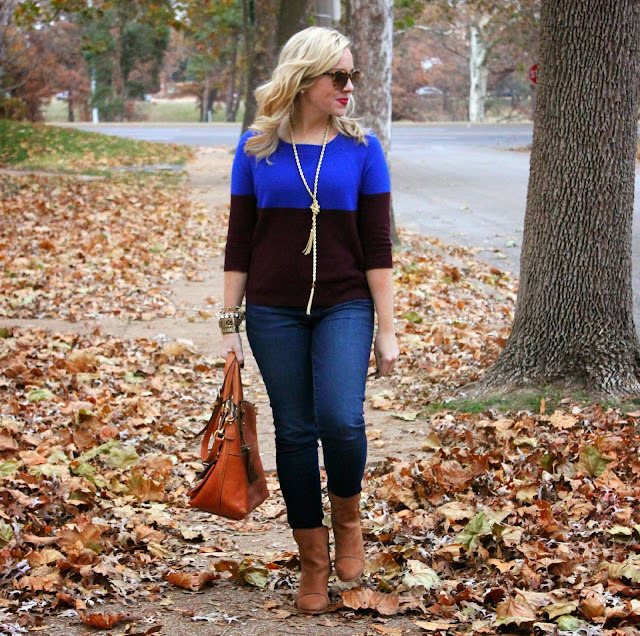 Today, I have teamed up with Groopdealz to give one of my readers a giftcard to J.Crew! Groopdealz has some amazing items at fabulous prices! If you have not seen my Friday Dealz, be sure to check it out! I have scored quite a few items from them! They have some fun, trendy pieces on a daily basis! I love checking my email to see what new items they have each day! Love that color block top! I love this sweater! Such a great combination of colors! You got the boots! Loving them on you and how you styled them! Great look girly! I did! So exciting! Thanks Shannon! Looking super cute, lady! Love the color block! Love your sweater and these tassel necklace. 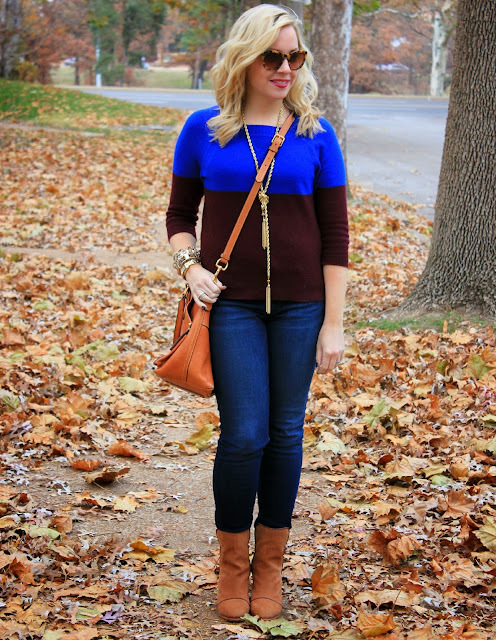 I love this colorblock sweater! Oooh!!! Loving the sweater Jac!!! This is such a vibrant colorblocking..i would sooo snap it up as well, if i saw it :) Looking gorgeous as ever.. Thank you! Super warm and comfy! So cute Jacqueline! Love this look, and you look amazing in your fab birthday booties!! Thanks Nikki! I wore them again today! 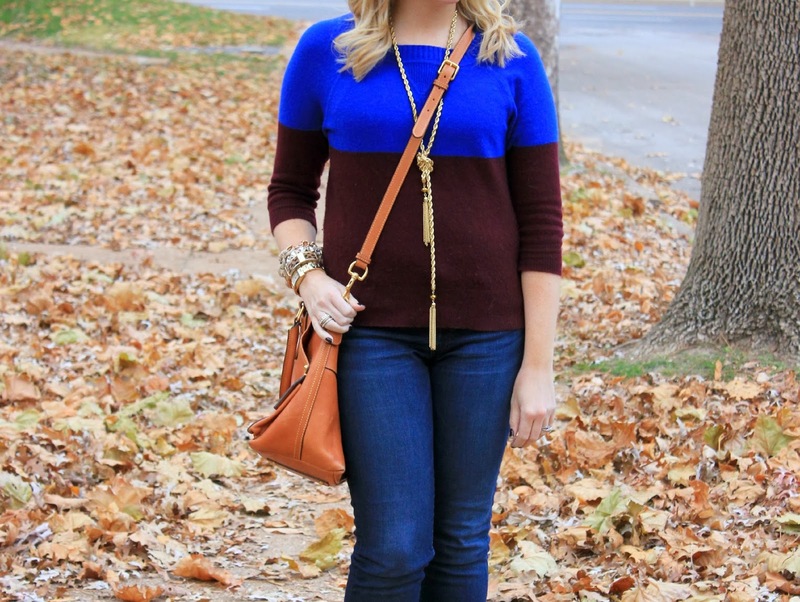 Love this outfit, it's perfect for fall! That top is so cute on you. You are gorgeous! I love your style! I have entered the giveaway:) Thank you for the opportunity. Thanks Ashley! You are so sweet! Super Cute outfit! And I love all the leaves in your pictures! 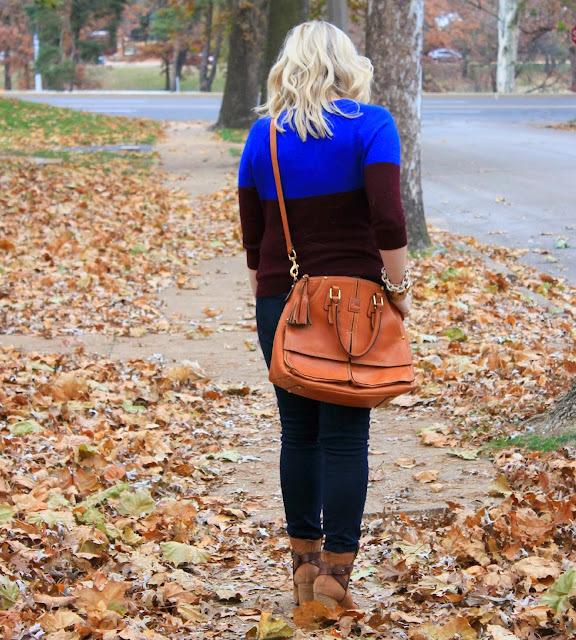 I grew up in St. Louis and I'm missing Missouri fall terribly this year! Love your outfit~ especially those boots!